Our easy to follow lesson plans, alongside our videos, give you a detailed, step-by-step instruction on how to perform the essentials of bricklaying, block laying, and stonemasonry. This program has been refined and taught for over 29 years and has since evolved into the authoritative course in masonry education. What Is The Process For Getting Through The DIY Mason Course? Watch Lesson 1, practice, then move on to the next less, and so on. There are 8 lessons. You will learn how to properly spread mud (mortar) for brick, then block (the bed joint, or the horizontal joints on a brick wall). You will learn how to lay brick, then block to the line. If don’t have a full time job to work around and you are able to work on the course full-time, you could finish the DIY mason course as quickly as a month. If you are working or simply want to take your time with the the course ot would more likely take 2-3 months or more. 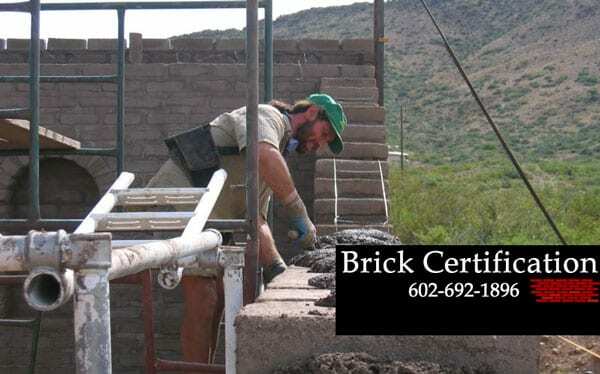 We usually estimate between 200-300 hours total to finish your masonry course. There is a list of materials needed for the course in the lesson plans. The cost of these supplies will vary, depending on where you are located and how you obtain them. The average cost Is between $100-$300 retail. You are able to use your materials for projects after the course, so they are not wasted. How Much Space Do I Need At My Home For My Class? You won’t need too much space, you can even set up in a small backyard or right on a patio. You need approximately 5 ft. by 5 ft. for your set-up (minimum). Students have taken the course in their basement, garage, carport, back yard, or in a spare room in their house or apartment. Build a brick chimney or brick pier that is 2 foot x 2 foot square. 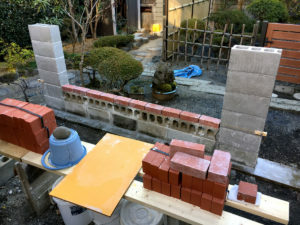 Lay 100 modular brick using a 4 foot builders level in 2 hours or less, as well as all brick corners. What Is Included In Each Of The Online Video Courses? Extensive Online Video Training – Students have on-line access to all video courses they purchase which can be viewed on their Apple or Windows PC, laptop, tablet, or Smart Phone. Simply log in, watch a video segment, practice the techniques, and move closer to your goals. Learn at your own pace in the comfort of your own work space. Unlimited Support – Have questions along the way? We’re here to help via phone, email, or on-line chat. Bricklayer PDF Book – This is your added guide to applying the hands on techniques you’ll take from the video training and put into real practice.